By Ruth Annesley on Friday, June 10th, 2016 in Events, Irrigation, Pumps. After a successful field day trip to Eneabba, Pat and Ness boarded the red-eye flight to Melbourne to attend the Irrigation Australia Conference and Exhibition. The exhibition provides an opportunity to discover new innovative products to the market and to meet with our suppliers. Pat was a little excited, not only was it a chance to get amongst all things water and pump related, it was also his first time to Melbourne. Arriving on a weekend provided us with a chance to catch a show at the theatre and get completely lost and absorbed by the city. We loved it! Such a great place! The people were friendly; the food was great, the shopping, and the art. You have heard it all before. The HydraWise Controller is similar to regular controllers in that it operates solenoids valves attached to your irrigation system. The difference is that its web based and allows such features as the ability to adjust your watering schedules according the weather forecast and to remotely monitor and change your watering schedule from wherever you are on the globe. It’s easy to use, will save you water and you will be able to remote manage it from your smart phone or tablet device. Hunter has recently purchased the Australian company of Hydrawise, this will soon be available to Irrigation stores Australia wide in the new financial year. The Grundfos Scala2 is a variable speed water pump that adjusts performance according to water demand, providing constant pressure to all taps regardless of variations in demand or inlet pressure. The Grundfos Scala2 is self-priming; ideal for pressurising water from above or below ground water sources with a suction lift of up to 8 metres and self-priming up to 4 metres. This water pump is user- friendly and easy to install. 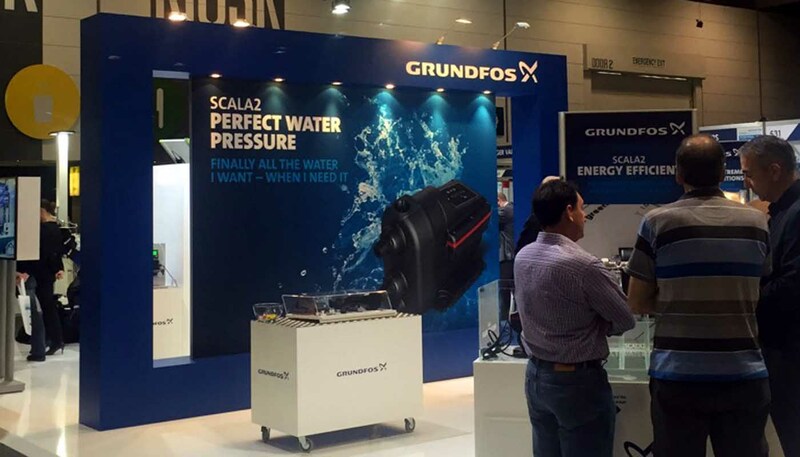 Not only did we get to see this little pump on display at the irrigation exhibition, we were also fortunate to be invited to the official Grundfos Launch of the Scala2. We have working display in the shop if you would like to come down and see it in action for yourself. On a side note: A huge benefit is that the Grundfos Scala2 copes with “dirty” power – so old generators are no worry for this pump! Feel free to contact us for more details. 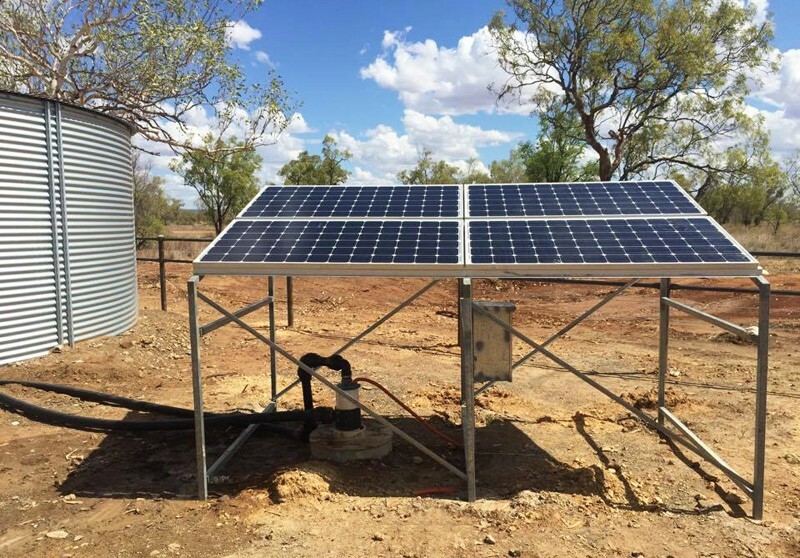 Solar seems to be coming a long way with in the irrigation industry. We had a few meetings with other companies whilst we were in Melbourne to get a better understanding of where solar is heading in the industry. We are keen to investigate this further and will keep everybody updated if progress is made. Overall the experience was well worth the trip across the country. We saw new products demonstrated first hand. Met with many people including suppliers, that until now we had only spoken with over the phone. But most of all we gained new information and insight about our industry to bring back to Broome and pass onto our valued customers. 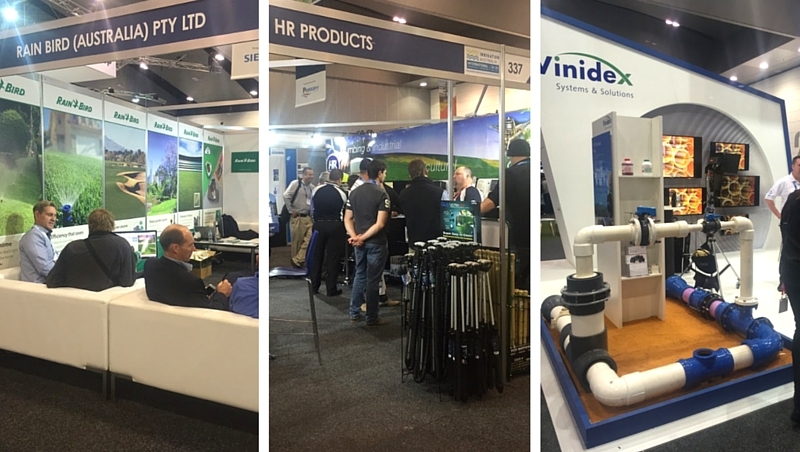 So thank you Irrigation Australia for putting on a good show, Thank you suppliers for the efforts you went to and thank you Melbourne for showing us what you are made of.